Finding vegan/vegetarian natural hair care products can be easy if you know where to look. If you want to make sure the vegan and vegetarian natural hair products you are purchasing are 100 percent vegan and cruelty free, consider shopping at Whole Foods. Whole Foods has a wide selection of vegan and vegetarian natural hair care products to choose from ranging from Nature’s Gate to Jason. If you do not live near a Whole Foods, no worries. There are literally hundreds of vegan and vegetarian natural hair products available at beauty supply houses and salons around the world. 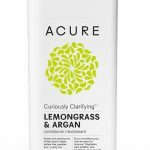 Some of the top brands in the industry include Modern Organic Products (mop), Pureology, and Bayse Natural Care. 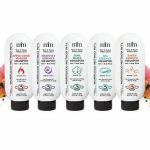 The Modern Organics Product (mop) line consists of: Mop shampoos, conditioners, treatment and styling formulations; Mop C-system shampoos, conditioners and styling formulations and Mop Glisten shampoo, conditioner, and styling. Mop products contain lemongrass, basil, mint, pear, chamomile, cucumber, artichoke, watercress, parsley, lemongrass, olive oil and vinegar, to name a few. One of mop’s top sellers is the C-System. C-system products are perfect for natural hair care and include: hydrating shampoo, c-straight smoothing shampoo, c-curl enhancing shampoo, reconstructing treatment, c-straight smoothing conditioner, moisture complex and c-curl curl enhancing conditioner. Styling products include: texture lotion, finishing paste, spray pomade, shaping serum, liquid wax, texture spray, styling conditioner, firm finish, c-straight straightening cream, c-straight smoothing shine lotion, c-curl curl defining cream and c-curl curl refreshing spray. The C-system line uses ingredients such as citrus, guava, grape seed, elderberry, alfalfa, rosemary, rosehips, orange, mango, grapefruit, papaya, black currant, mandarin orange and other vitamin-infused extracts. The following list of ingredients are for mop’s styling tonic and conditioning fixative spray. It is important to note that mop products are vegetarian. The ingredients list below lists “horsetail extract” as an ingredient. Horsetail is not actual “horsetail.” Equisetum arvense, commonly known as horsetail, mare’s tail, shavegrass or bottle brush, is a plant that grows throughout central Europe. It is a natural astringent that is extremely high in silica, which has a softening and smoothing effect on the skin. It also helps to strengthen vein and capillary walls, and it is high in a variety of minerals, including potassium, manganese, sulfur and magnesium. Ingredients: water, horsetail extract, fenugreek extract, Echinacea, corn silk extract, acacia tree, wheat amino acids, wheat germ, wheat protein, sweet potato starch, castor beans, botanical oils, coconut oil and palm oil. Modern Organic Products can be purchased at fine salons around the world. Founded in 2001, Pureology began with the idea to create 100% vegan hair care products for color-treated hair. Founder Jim Markham knew there was a need for natural products that were both gentle and effective in taking care of color-enhanced hair. Pureology’s cruelty-free products are guaranteed to provide longer lasting color. The unique characteristics of the Pureology product line are significant. To begin with, product formulas include antioxidants and UVA/UVB sunscreens that provide anti-fading protection without using free radicals. The company also offers Zero Sulfate Shampoos. The shampoos do not use salt, which dries out hair. Instead, the formulas include ingredients derived from coconut, corn and sugar. Other features of the product line include the use of natural ingredients that meet vegan standards. Organic botanicals developed from plants that are grown without pesticides or chemicals are used as well. No animal products or animal by-products are used. This is truly a rare feature for hair products aimed at color-treated hair. Vegans and vegetarians alike will no doubt be pleased with the discovery of this unique company, along with the many products it offers. The cruelty-free Pureology product line consists of several systems that are designed for specific purposes. For example, the Hydrate System is designed for color treated hair that needs serious hydration; the Pure Volume System gives limp hair a lift and the Super Smooth System helps get unruly hair under control. Each system has different product offerings. 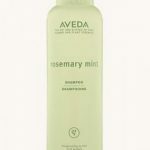 Shampoo, conditioners, creams, elixirs for shine, sprays for control, thickening mist, and amplifiers are among the many unique products aimed at different hair types and conditions as well as the challenges they create. Pureology products may be purchased at select salons or on the official Pureology website: www.pureology.com. Pureology products are available in salons around the world, so they are easily accessible to vegans, vegetarians, and environmentally conscious individuals alike. To contact the company directly, it is best to use the contact form provided on the official company website. The form asks for basic information, and also provides a comment box for messages: www.pureology.com/contact. Alternately, individuals may contact individual salons that carry the product line. A salon locator is available at the official website as well: www.pureology.com/locator. To find salons outside of the U.S., visit the select country page (www.pureology.com/country) and then visit the salon locator page for the selected country. Vegan-care shampoo & conditioner by Bayse Natural Care are new to the BNC product line. 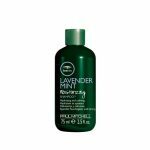 The shampoo is coconut-derived, and it contains hydrolyzed wheat protein and pro-vitamin B5, as well as organic lavender, lime and rosemary essential oils. The shampoo is paraben & SLS free, vegetarian and vegan friendly and it is not tested on animals – ever. This product is also grey water safe. The vegan-care conditioner is plant-derived, and it contains macadamia oil, organic jojoba oil, organic lavender, lime, and French rosemary essential oils. The conditioner is also paraben & SLS free, vegetarian and vegan friendly, cruelty-free and grey water safe. The Bayse products line includes calendula baby wash, citrus splash bath & shower gel, relaxing bath & shower gel, body wash, bath salts such as pink passion and muscle magic, and face creams, face oils and lip balms. Bayse also sells massage oils, as well as pet products. The Bayse Tropical Spa Salt Glow is another example of Bayse’s all natural and organic ingredient combinations. The spa salt includes Australian sea salt and pure cold pressed organic oils such as organic coconut oil, organic olive oil, sweet almond oil and jasmine essential oil. It also contains organic coconut flesh.